-- Seven years have passed since the brutal murder that tore Moe Prager’s family apart and it's been six years since Moe’s brushed the dust off his PI license. But when his estranged daughter Sarah comes to him with a request he cannot refuse, Moe takes a deep breath and plunges back into the icy, opaque waters of secrets and lies. Sashi Bluntstone, an eleven-year-old art prodigy and daughter of Sarah’s dearest childhood friend, has been abducted. Three weeks into the investigation, the cops have gotten nowhere and the parents have gotten desperate. Desperation, the door through which Moe Prager always enters, swings wide open. Just as in Sashi’s paintings, there’s much more to the case than one can see at a glance. With the help of an ex-football star, Moe stumbles around the fringes of the New York art scene, trying to get a handle on where the art stops and the commerce begins. Much to Moe’s surprise and disgust, he discovers that Sashi is, on the one hand, revered as a cash cow and, on the other, reviled as a fraud and a joke. Suspects abound beyond the usual predators and pedophiles, for it is those closest to Sashi in life who have the most to gain from her death. Cruel ironies lurk around every corner, beneath every painting, and behind every door. Almost nothing is what it seems. Beware the innocent monster, for it need not hide itself and it lives closely among us: sometimes as close as the mirror. 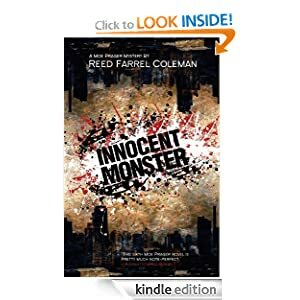 Innocent Monster or to sample this book for FREE! And every time he got'emus . . .
he'd fall upon his bottomus! Calamity ensues when an elephant, a centipede, and a rhinoceros try finding a cure for hippo's colossal case of hiccups. Zenz's creativity shines through with his use of colored pencil in this off-the-wall read-aloud. 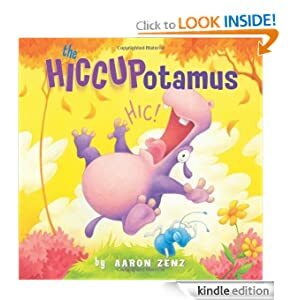 The Hiccupotamus or to sample this book for FREE! -- When Lauren divorces her husband, she has one thought on her mind...stepping off the merry-go-round. However, her life quickly turns into a three-ring circus: her hypochondriac father moves in, her ex is using her shower when she’s not home, and her perky assistant is pushing her out into the fearsome dating world. She also has to decide if the dilapidated barn and vintage merry-go-round she was awarded in the divorce settlement is a blessing or a bane. As if Lauren’s personal life isn’t chaotic enough, this slightly jaded attorney is overrun with a cast of quirky characters who can’t stay on the right side of the law. What’s a woman to do? She can allow life to spin her in circles forever. Or she can reach out and grab the brass ring. 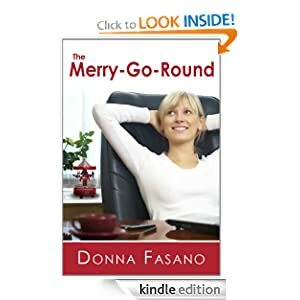 The Merry-Go-Round or to sample this book for FREE! -- Elaine Myers, Certified Nursing Assistant, has found the love of her life in Larry Perkins, her junior by several years, but she tries to dissuade the charming Larry for fear of losing him to a younger woman in the future. However, Larry is not her only pursuer. Elaine finds she is being visited by her favorite but dead actor, Oskar Weber, who claims she is his lost love. An unforgettable paranormal romance that takes you through an unexpected but wonderful journey of delightful fun and laughter; touched by some hardships, but most of all, filled with passionate and tender love. A novel that's hard to put down, as the title states, it is -- A dream of love! 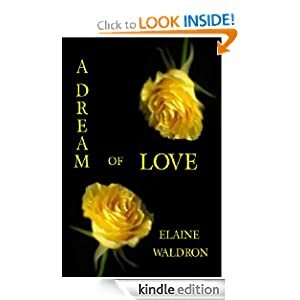 A Dream of Love or to sample this book for FREE!